Life has been a bit... shall we say, "high stress?" lately but it hasn't been all bad. I thought I would share with you a few of the things I've enjoyed lately... kind of the low-rent version of Oprah's Favorite Things. Dried cherries. My dad worked the food giveaway that our church does monthly. It's for low income people and there's no cost. You just sign up and go through the program (pretending I know the details, I don't really). He came home with these dried cherries leftover from the giveaway this morning and I absolutely love them. Addiction level love them. And they're in a virtually unmarked bag. There's some fine print so I'm going to be hunting down that manufacturer. The Olympics. In the past 24 hours I've watched handball, some kind equestrian thing, a triathalon, soccer, basketball, rhythm gymnastics, badminton, synchronized swimming, volleyball... probably other stuff that I'm forgetting. I'm ok with it ending but I've maximized my viewing this time and I've learned a few things (that I will probably forget before the next Olympics). It was a happy distraction while it lasted. Lipton Berry Tea in k-cups. I brew it, let it cool and then put it over ice. It is really refreshing... sort of a sangria-ish taste. I still love the hot chai tea first thing in the morning but for my "all day long" drinking, it's this berry iced tea lately. Oliver. The faces he makes on Facetime are adorable! He could really be a baby model or actor because all you have to do is make the face you want him to make and he imitates you. His eyelashes are a mile long and he's so precious! Fresh figs. I get about one or two a day that ripen. They're fabulous! My text / facebook message / comment buddies. Usually texting it's Austin or Cody. Facebook messages it's a blog reader who shares my disdain for certain things and my enjoyment of others. This blog doesn't get a lot of comments but the ones I get are more precious than diamonds to me! Some here, some on Facebook... they really make my day more days than you might imagine! Beauty and the Beast. A community production is being put together and they just held auditions. 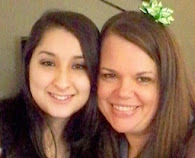 My sweet little Jamie is going to be in it, along with my "extra" niece Jorjanne. And the role of Belle is being played by a young lady I absolutely adore, the daughter of a friend! I don't sit through much but I'm going to this show, there is no doubt! Carters.com. Baby clothes. More specifically, shopping for baby clothes. I wanted to get a few Fall things for Oliver and we needed some backup clothes for Cosette for her time with us. 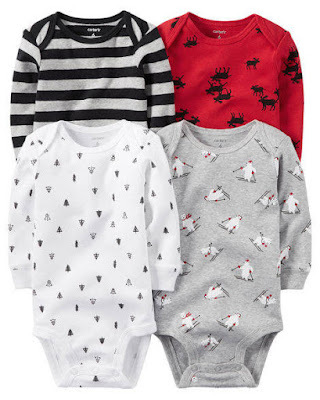 Carters prices are low, their quality is great and I can always find discount codes and ways to get free shipping. I bought a four pack of long sleeved onesies for Oliver along with a nice button up dress shirt for him and also a long sleeved glow in the dark skeleton shirt. For Cosy I bought a dress with matching cardigan, a pair of yoga pants (which will be adorable with her long legs), a romper to get us through the last of the warm weather and a three piece set that has a Winter pattern. 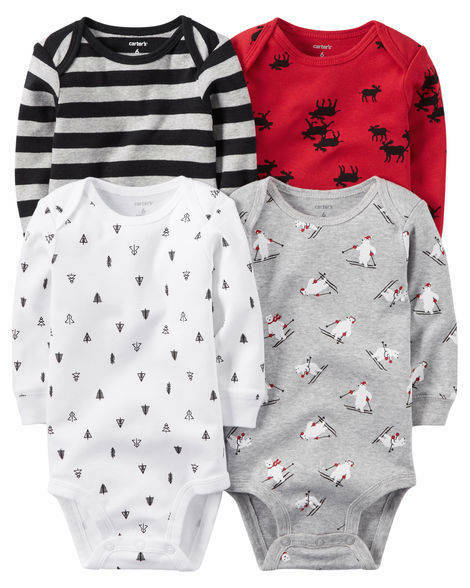 It includes a short sleeved onesie that says, "I melt my daddy's heart" and a long sleeved onesie with a snowflake print and little pants that have a penguin on the bum. Austin's spirit animal is the penguin. If you've ever seen him walk you would understand why. Anyways... all of those... a dozen or so pieces for my babies... for about $50, including free shipping! And I didn't have to leave the house. I also like the secondary thrill that comes from buying things online. You have the pleasure of browsing and finding treasures... and then you order... and about the time you forget how much you liked what you ordered... BOOM!... right there in your mailbox! (Incidentally, I'm not being paid to tell you how much I like zulily or Carters). iCloud. My nephew in New York wins for most photogenic chubby ginger baby boy ever (at least since his dad was a chubby ginger baby) and his mom posts the pictures of him on iCloud all the time! About the time I'm feeling frustrated or bummed or... whatever... I get an alert that there's a new photo on iCloud. I feel like we already know his personality. And in between we get pictures of Oliver doing something amazing that his parents post in his iCloud folder. There is the most amazing video of Oliver going around in circles. If I could forward it, I would post it for you. Just imagine mini-drunk-human going in circles with a little bit of a lean... every now and then he stops and steadies himself. I have watched them over and over (there are two). Now it's time for one of my all time favorite things I've enjoyed for quite some time now... my Luigi's Italian Ice... mango flavor. I have two about this time every night while I'm getting settled in. Hope you're having a great weekend and I will blog at you again soon! Love and hugs, y'all! I used to work for a Carters/ Oshkosh a few years back. They really do have the best deals and clothes. They last forever and good clothes to hand down if need be. I can just picture your grandson twirling... lol They sure do grab your heart super fast, don't they? Thanks for sharing your fave things.